Once you are accepted into the TASC program you will plead guilty to the criminal charges but a conviction will not go on your record. Your case will be continued for 24 months and the court will order that you be placed on probation and be required to do certain things. You will be required to perform at least 30 hours of community service. You’re not going to be allowed to possess a firearm or use any illegal drugs. You’ll be required to submit to random drug testing and pay all fines fees and costs. In addition to these basic requirements the court may add other conditions to your probation depending on you and your situation. Throughout my years of practicing criminal law, I’ve had cases in which judges have ordered my client to get a job or continue looking for a job, get a High School or GED diploma, or undergo drug, alcohol, psychiatric and mental health treatment. The additional requirements depend on the particular case and the particular individual before the court. 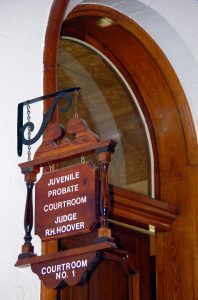 You may be required to appear periodically in court for the judge to see how your probation is going. But if you do everything that you are supposed to do and do not commit any crimes and do not test positive for any illegal drugs, when you appear at the final court date and the court is informed that you successfully completed the program the case will be dismissed and you will no longer be facing criminal prosecution. Not only is your criminal case over but you will not have a criminal conviction on your record and if anyone ever asks you if you have ever been convicted of a crime you can answer truthfully that you have not been convicted. However, if you do not successfully complete the probation you will be brought back into court and you will be sentenced for the crime that you plead guilty to when you were placed on TASC probation. In certain cases, TASC probation may be the best option for successfully resolving a criminal case. Every case is different. That’s why you need to talk to an attorney who has experience handling cases involving possible drug abuse. You have options if the attorney that you hire knows what they are doing and knows how to obtain results for you. James Dimeas is a nationally-recognized, award-winning, Drug lawyer. James Dimeas has been handling Drug cases for over 26 years throughout Chicago, Cook County, DuPage County, Lake County, and Kane County. James Dimeas has been recognized as a “Best DUI Attorney.” Expertise named James Dimeas as a “Best Criminal Defense Lawyer in Chicago.” The American Institute of Criminal Law Attorneys named James Dimeas a “10 Best Attorney for Client Satisfaction.” The American Society of Legal Advocates named James Dimeas a “2018 Top 100 Lawyer.” The National Trial Lawyers named James Dimeas a “Top 100 Criminal Defense Trial Lawyer.” Attorney and Practice Magazine gave James Dimeas the “Top 10 Criminal Defense Attorney Award for Illinois.” The National Academy of Criminal Defense Attorneys gave James Dimeas the “Top 10 Attorney Award for the State of Illinois.” James Dimeas is rated a “Perfect 10”, “Superb” by AVVO, the highest rating possible for any criminal defense lawyer or Drug Attorney in the United States. If you are facing drug charges, you can contact James Dimeas anytime for a free and confidential consultation. You can always talk to James Dimeas personally by calling him at 847-807-7405. Illinois TASC Statute: 20 ILCS 301/40-5. Treatment Alternatives for Safe Communities (TASC) Website.